Perched on a hillside with beautiful scenery, Casa Revalio is the perfect place to unwind and recharge and will certainly appeal to guests who enjoy being surrounded by nature, with some lovely walks nearby. 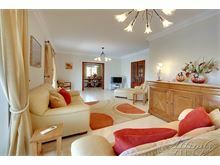 The villa itself is very well appointed and has a fabulous pool and sunny pool terrace plus a very useful covered and enclosed terrace with a dining table that comfortably seats ten people. 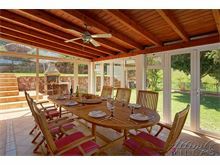 Although in the heart of the countryside, the villa is still close to three popular local restaurants. Please note that the access to the villa is up a steep private electric gated driveway and care will need to be taken with children due to unprotected drops in the garden. 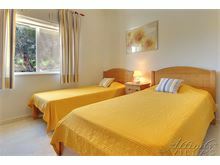 Please speak with a member of our reservations team should you require more information. 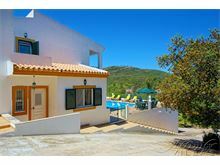 Approximately 2kms to the nearest restaurant and 14kms to Silves. Approximately 15 kms from the nearest beach. Driveway leads to the front door that opens to the hallway. Guest cloakroom. 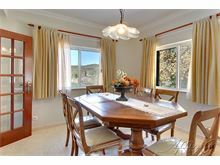 Dining room with access to the sitting room with TV, DVD and patio doors to the pool terrace. 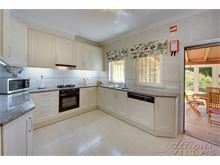 Kitchen with access to covered and enclosed terrace with doors to the garden and barbecue area. 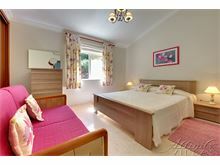 Stairs up to one twin bedroom and one double bedroom that share a bathroom. 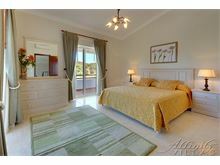 Smaller staircase up to the master bedroom with double bed, en suite bathroom with separate walk-in shower and two patio doors that lead to a balcony overlooking the pool terrace. Insect screens fitted on all doors and windows. Maid service 3 times per week. Pool heating and air conditioning are available at extra cost, if required. 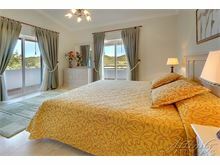 Well appointed and equipped Villa in a peaceful location with lovely views. 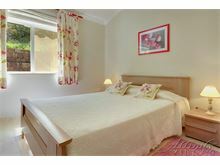 Ideal if you want to get away from it all and just relax but still only a short drive from the coast.